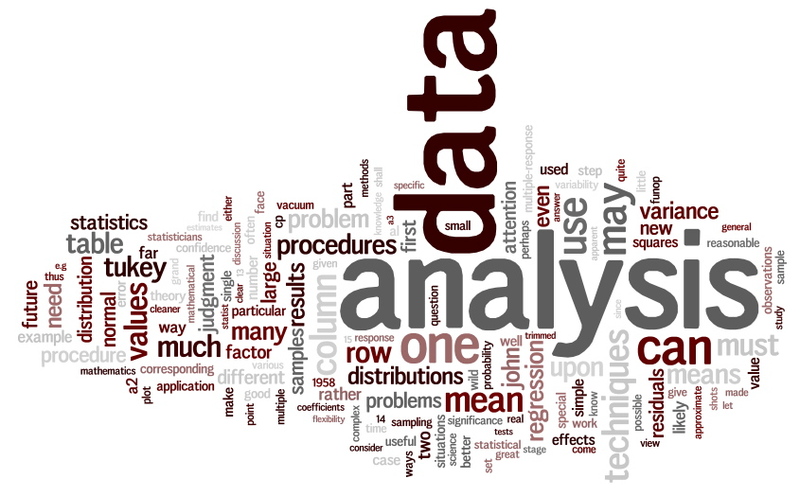 The following are word clouds built with wordle from two major papers. The first is by R.A. Fisher and is based on the text taken from Part 1 of his 1922 Philosophical Transactions of the Royal Society, A, 222: 309-368 paper (including his Author's note from the 1950 reproduction) entitled "On the Mathematical Foundations of Theoretical Statistics". The second is J.W. Tukey's 1962 paper from the Annals of Mathematical Statistics, 33, pp. 1-67 entitled "The Future of Data Analysis". 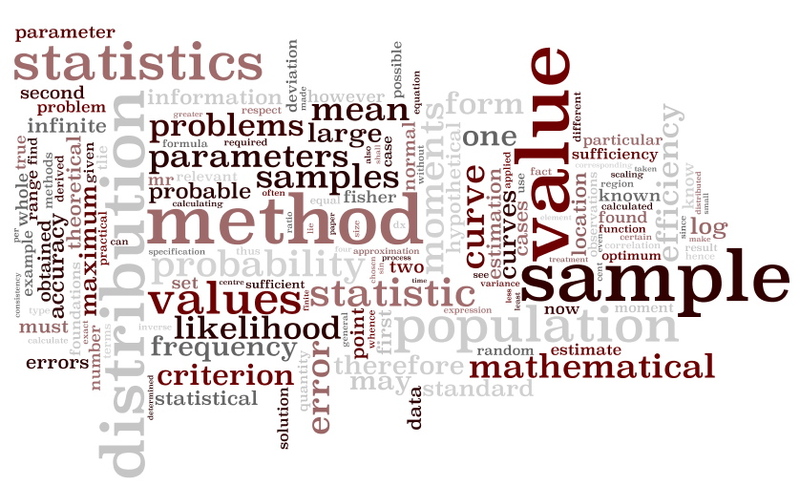 These two landmark papers mark two important transitions in statistical science, summarized visually by the word clouds.